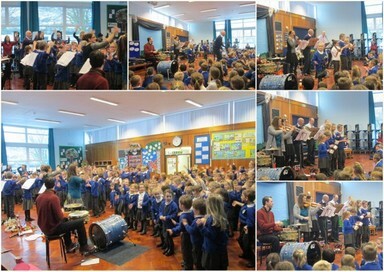 Today the whole school enjoyed a performance by musicians from Gateshead Music Service. The musicians took us on a musical journey through time, looking at the lives of significant individuals from across Tyneside. We learnt about the achievements of people including Earl Gray, Grace Darling, Thomas Hepburn and Joseph Swan, and ended with a rendition of Let’s get ready to rumble in acknowledgement of Ant and Dec.